2. 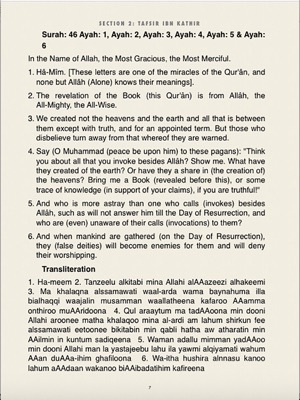 An audio recording of this part of the Qur'an. 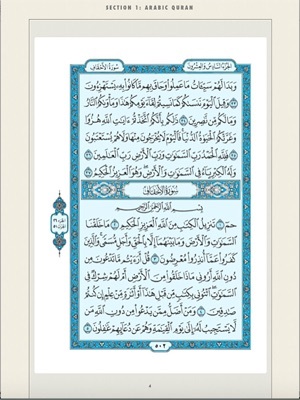 This beautiful recitation of the Noble Qur'an is done by Sheikh Nadir Al-Qallawi, and the English translation is read by Mr. Phelps (Bilal Abdul-Karim) from USA. 3. 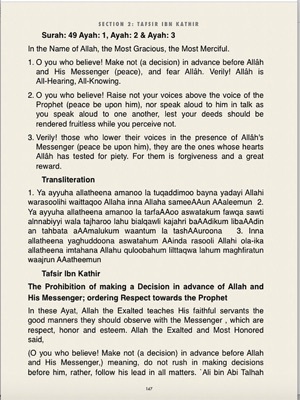 Transliteration of the Arabic text for those who are unable to read the Arabic script. 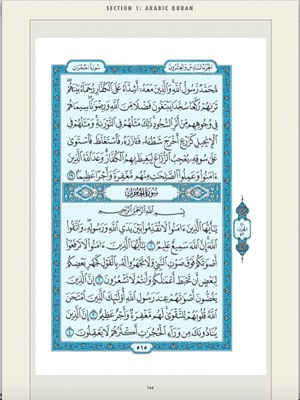 This will give them a sample of the sound of the original Arabic Qur'an, which they could not otherwise comprehend from reading the English meaning only. 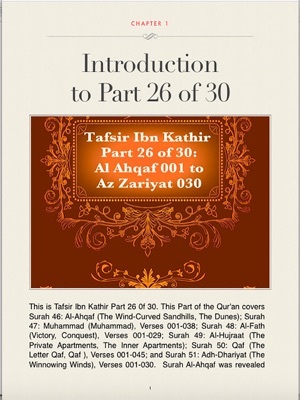 We hope that by doing this, an ordinary English-speaker will be able to pick up a copy of this book and study and comprehend The Glorious Qur'an in a way that is acceptable to the understanding of the Rightly-guided Muslim Ummah (Community).